WWE has announced Dean Ambrose is leaving. But what if he stays? News broke recently that Dean Ambrose refused a new contract with WWE. The dirt sheets had the news first, but WWE uncharacteristically acknowledged his contract status by publicly announcing he would finish up with WWE after WrestleMania. 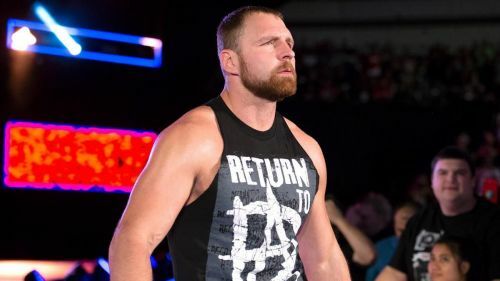 We don’t know all the facts, but the overarching impression thus far is that Ambrose has been dissatisfied with WWE’s creative use of him, particularly as it pertains to the more “hokey” content. The unconventional choice for WWE to share this news has suggested to some that the whole thing could be a work, or else that WWE may have gone public to in some way gain an upper hand in negotiations that aren’t a closed case. So what if Ambrose were to re-sign with WWE after this announcement? It would be an interesting spot for him to shift roles within the roster and potentially carry more stroke behind the scenes. This article takes a look at five prospective results of Ambrose re-signing. Dean Ambrose could get a CM Punk-like push with a worked shoot departure. In 2011, WWE awarded CM Punk an unconventional push, loosely inspired by his Summer of Punk final Ring of Honor angle. The story saw him cut an all-time great worked shoot promo on Raw, then go on to upset John Cena for the WWE Championship on what was ostensibly his last night with the company. He did disappear for a brief bit, before coming back to resume a main event level push. WWE could follow a similar train of thought with Ambrose, a favourite of internet fans who, similar to Punk, never quite fit the cookie cutter mold of a WWE star. While it would be difficult to revisit the Punk storyline exactly, WWE could riff off of it in Ambrose bucking against authority the way he hinted at in going after Triple H in his promo this past week on Raw. Moreover, with the knowledge Ambrose is supposed to be going, it’s conceivable he could get worked into the Seth Rolins vs. Brock Lesnar program—particularly given his history with each man. After all, one of the few ways of escalating from the Summer of Punk angle could be Ambrose winning the Universal Championship at WrestleMania, by all indications on his way out of WWE.